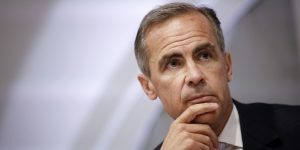 The Governor of the Bank of England, Mark Carney, made a statement on Tuesday to give a further economic update following the Brexit vote result on June 23rd. Although equity markets have largely recovered, with the FTSE100 currently at pre-referendum levels following significant early falls, Sterling has slumped against the Dollar and the Euro as the Bank introduces further preventative measures to ensure the UK economy is steered away from what Carney called a “technical recession”. The Governor reiterated that, although the Bank would continue to take positive steps to protect and further underpin the UK economy, he felt that economic risks were very visible and that some of his pre-Brexit warnings were starting to materialise. In saying that, the Governor spoke confidently about how he felt that the financial system was in a resilient state and would not become as toxic as in 2008 – commentators felt that his comments this week have gone a considerable way to calm market jitters. Of course, the political landscape is changing almost by the minute, with each development having associated risks and uncertainties, but in terms of investment policy, the calm, longer-term focus we underlined last week will continue to see us ride out any negative fluctuations.